Doctor Name: Radu Ioan, D.C.
We combine Chiropractic with Massage, All-in-One treatment! The entire treatment is performed by the Doctor. 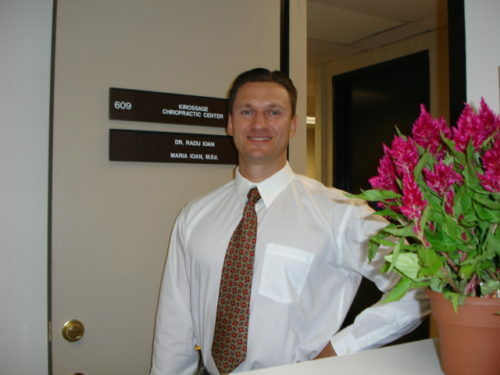 Dr. Radu Ioan is a chiropractor serving West Los Angeles, Culver City, Santa Monica, Westwood, Marina del Rey, Beverly Hills and the surrounding communities. Dr. Ioan and the rest of the friendly team at Kirossage® Chiropractic Center are dedicated to chiropractic solutions to target your unique needs, whether you are suffering from back pain, neck pain, headaches, or even just plain old muscular tightness and tension. You may need pain relief after suffering an accident, experiencing an injury, or if you have a specific condition such as chronic back pain or a spinal condition; even if you just want to improve your overall health, Dr. Ioan can help you achieve your wellness goals!